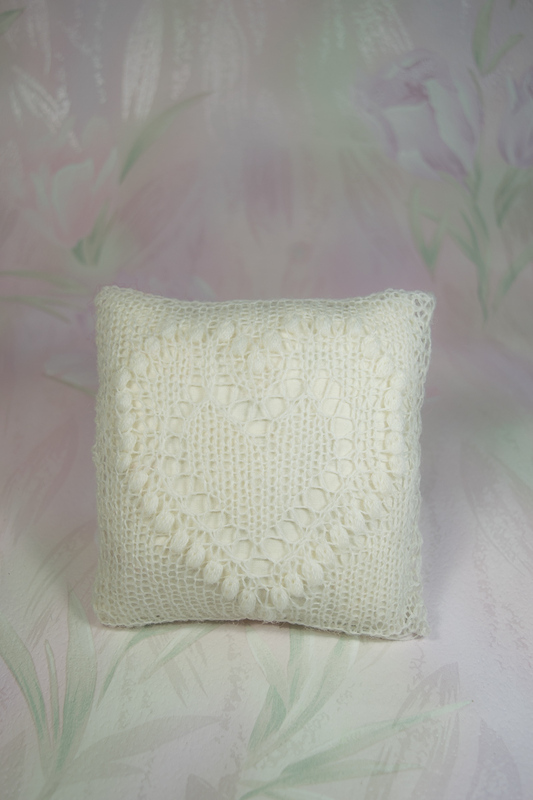 This is the second pillow from 2017 collection. 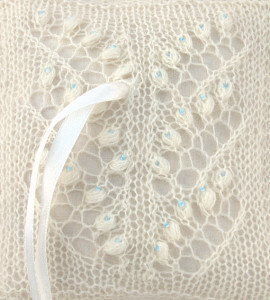 I absolutely love it and I hope that you too to. 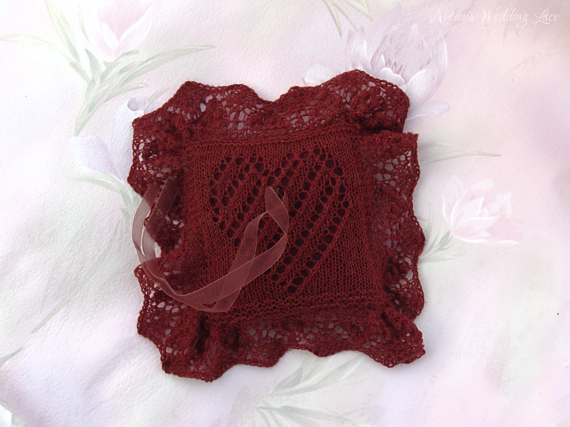 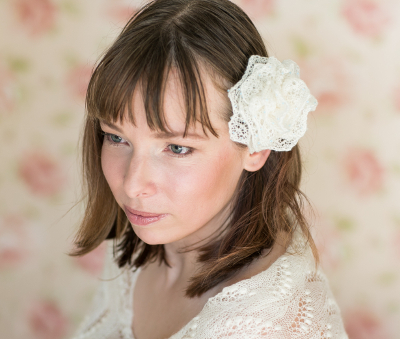 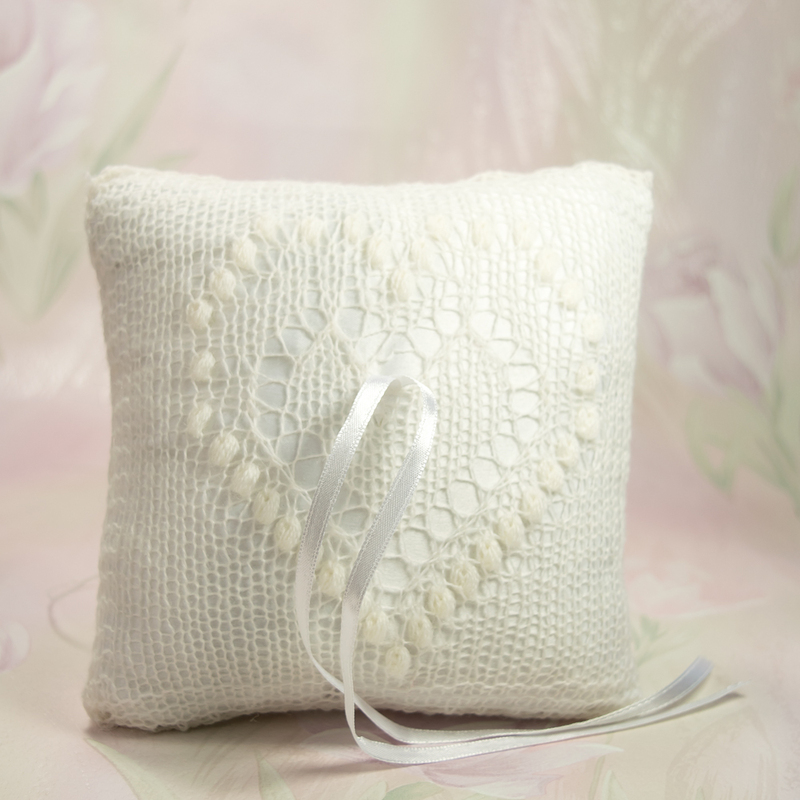 The Greta Garbo pattern is just perfect for weddings as it is made up of hearts and it is just beautiful. 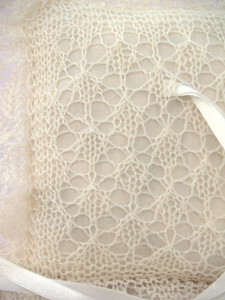 The name of the pattern comes from the fact that a scarf with this pattern was given to Greta Garbo in 1936. 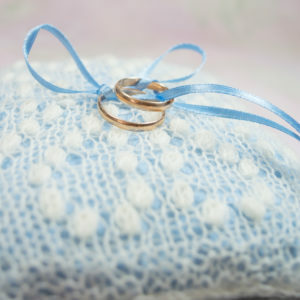 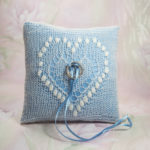 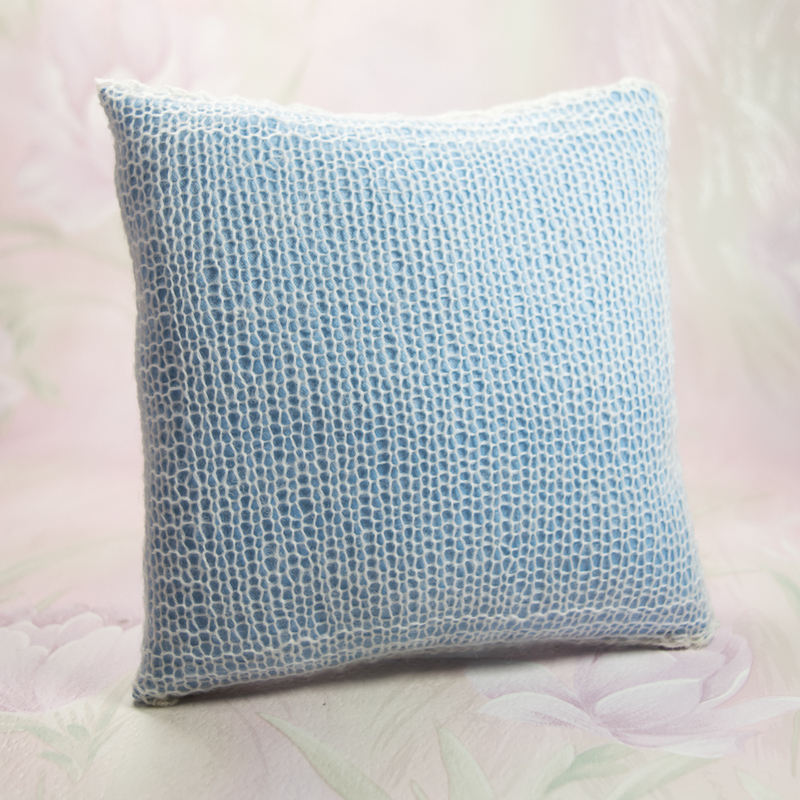 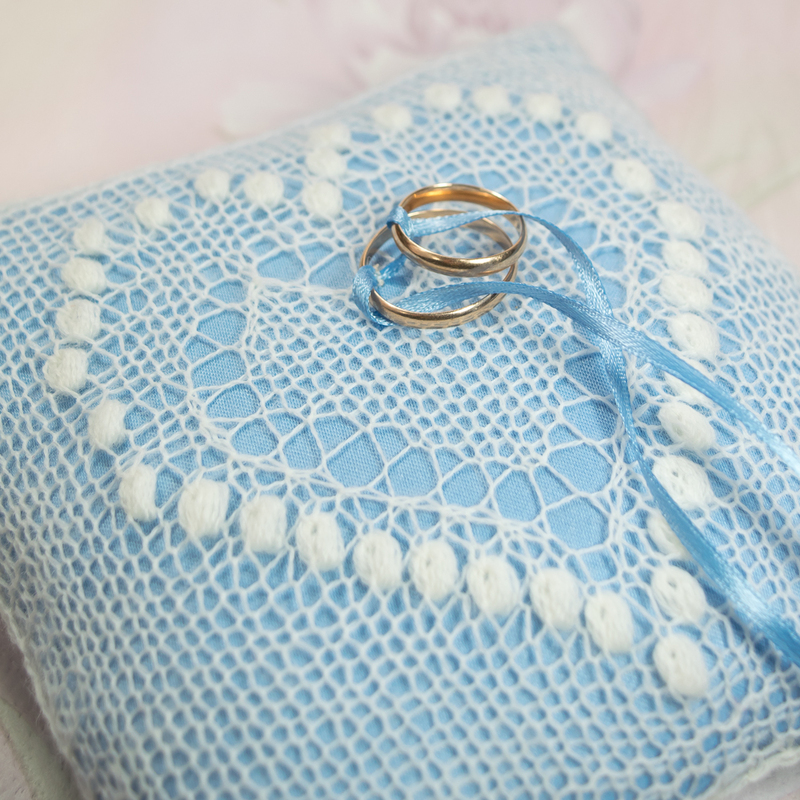 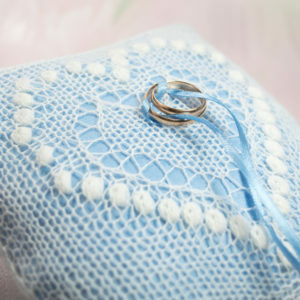 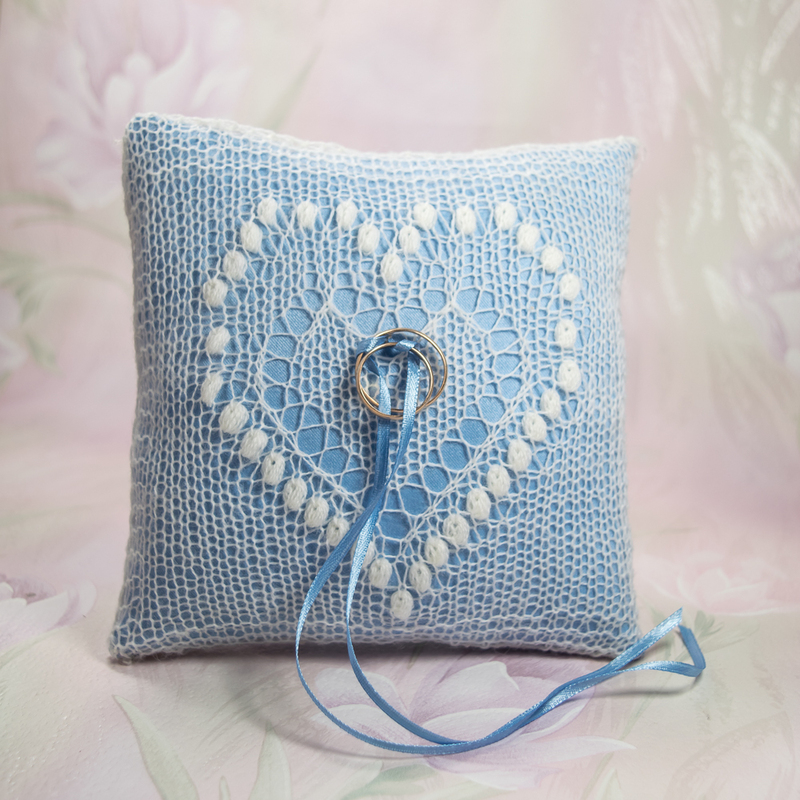 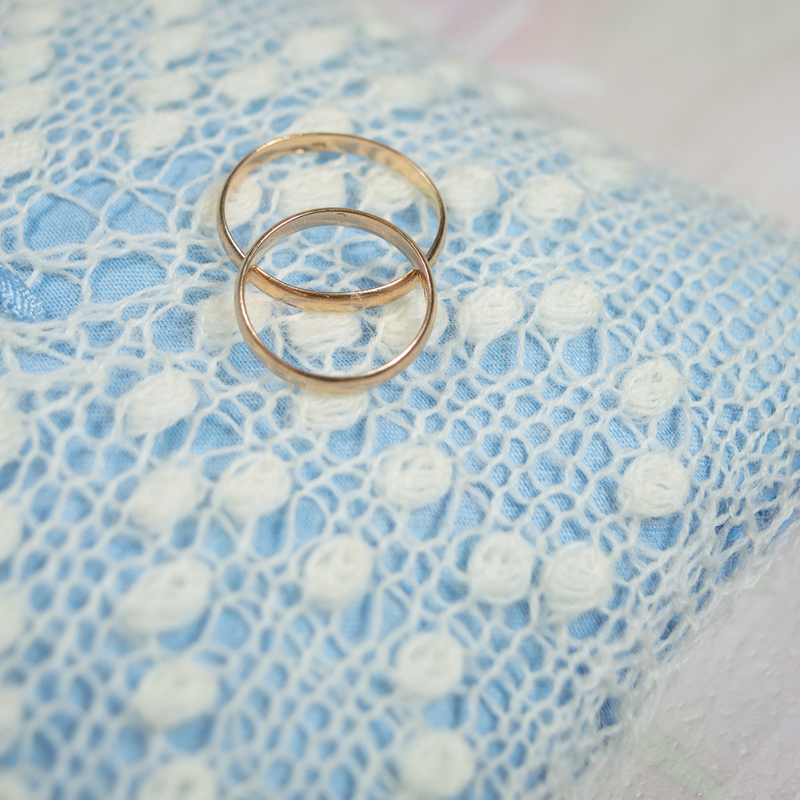 I hope you will use this pillow for your rings and as it is blue it can also be your “something blue”. 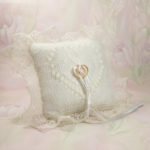 Today I’ll show you the first ring bearer pillows from my new collection. 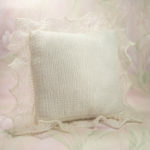 Look forward to more elegant and luxurious pillows during the next few weeks! 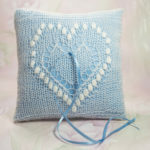 I decided on 6 patterns that are traditional and signify love, trust and happiness. 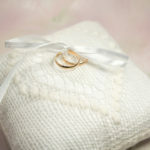 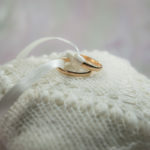 At the same time they are elegant and display the wedding rings beautifully. 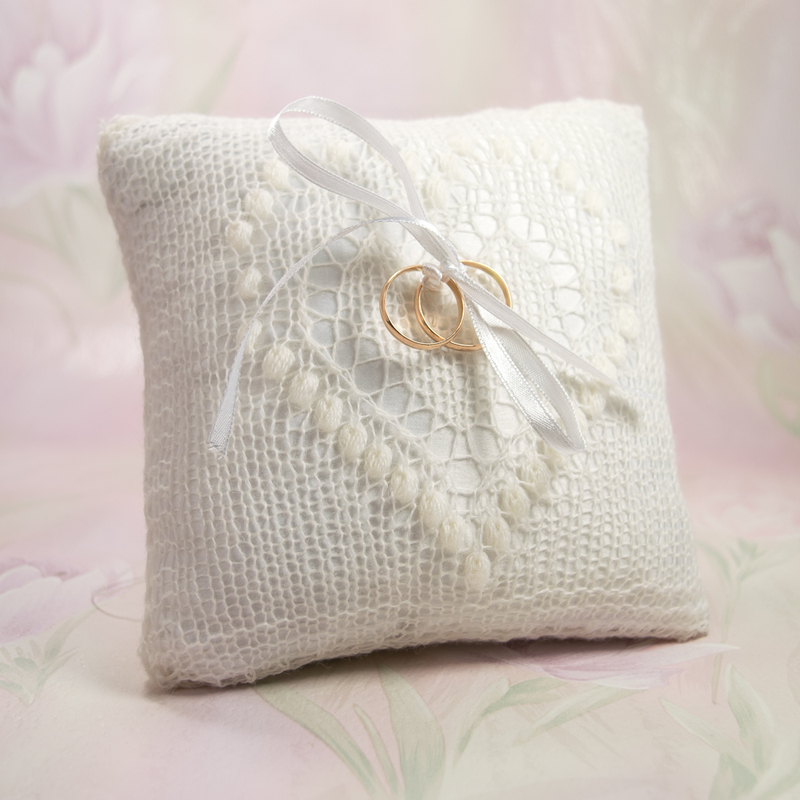 Since wedding rings are the most important rings in a persons life then I will only use the best materials for my ring bearer pillows. 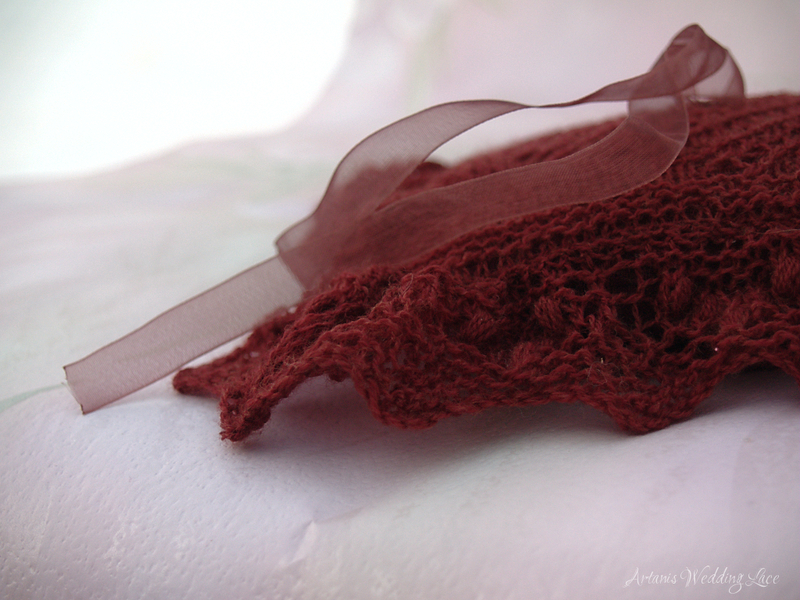 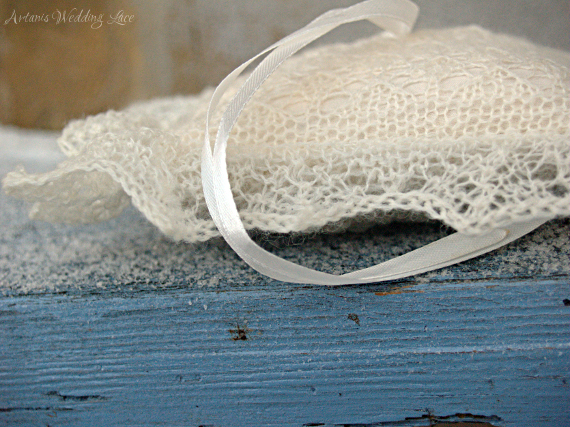 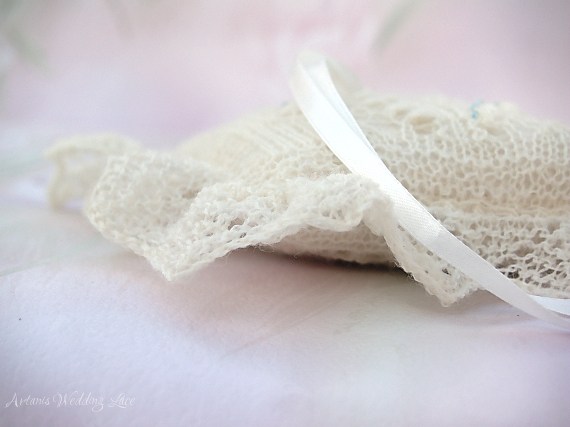 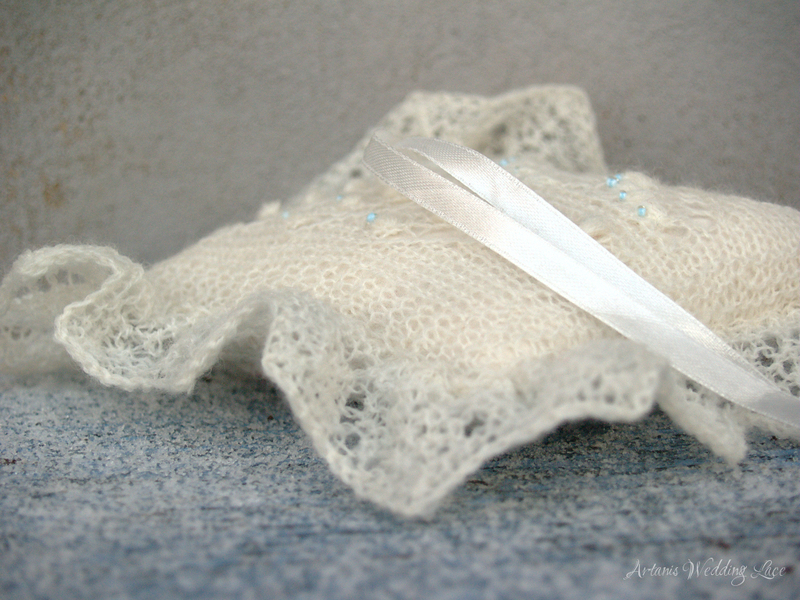 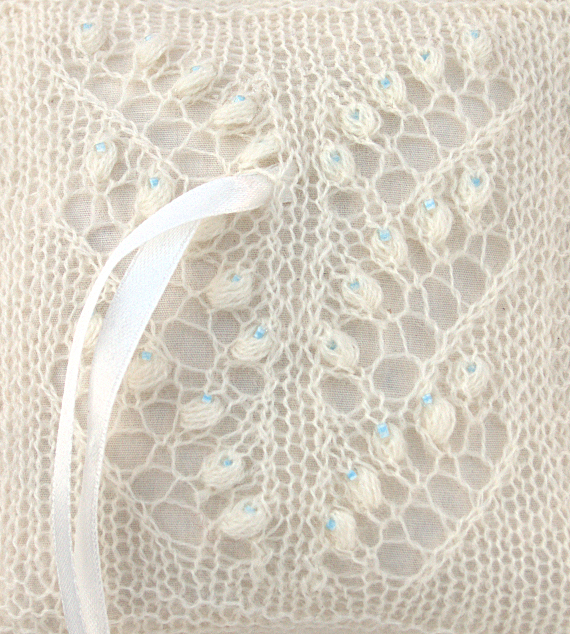 Look forward to the softest lace wool yarn, cashmere and silk. 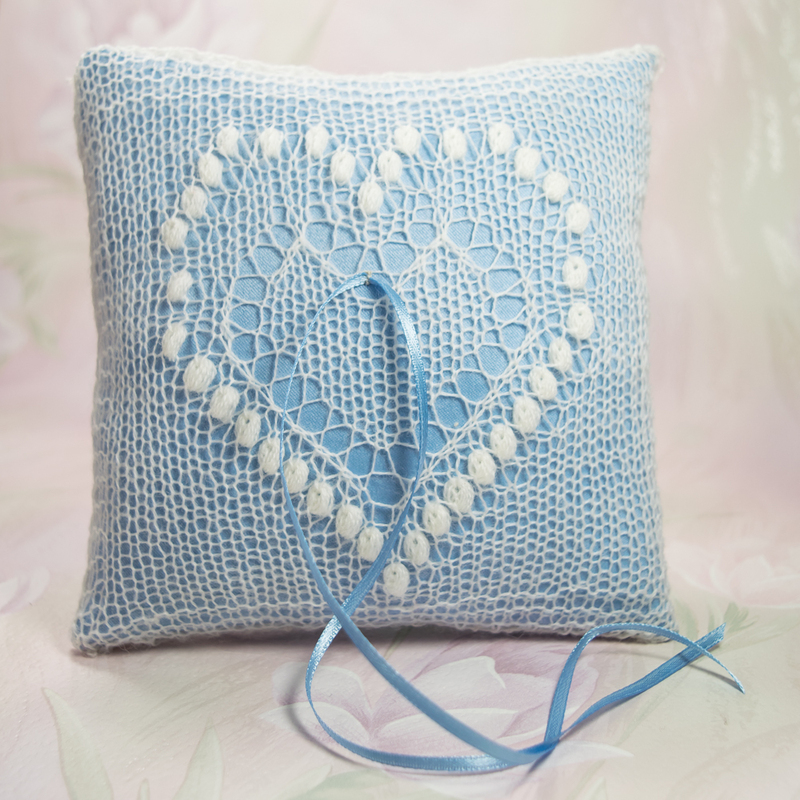 The first pattern is a heart made out of nupps. 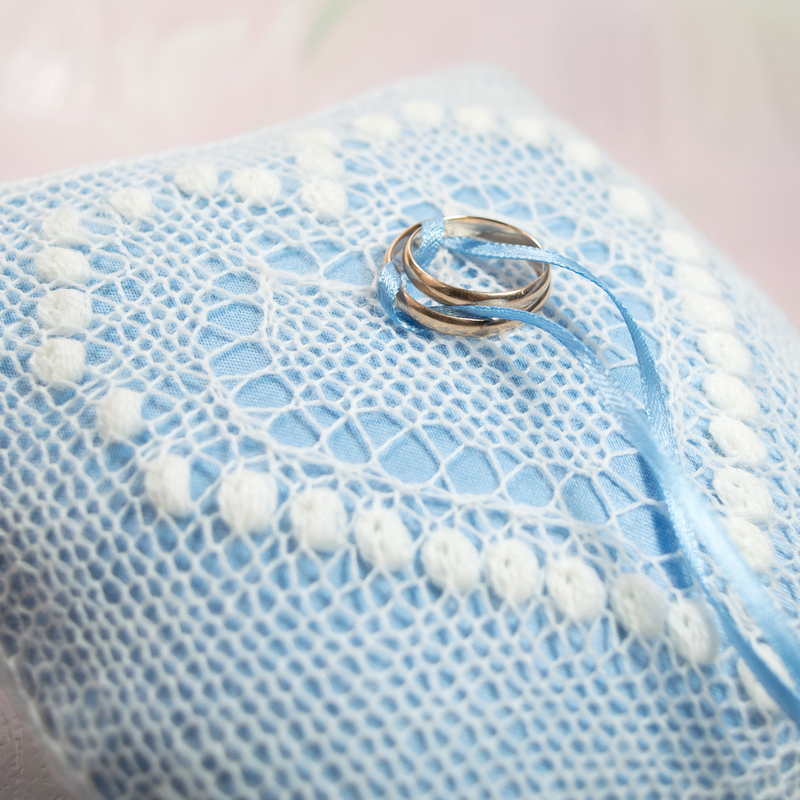 The heart symbol has signified love since the 15th century and so it is perfect to showcase the wedding rings that are also a symbol of endless love. 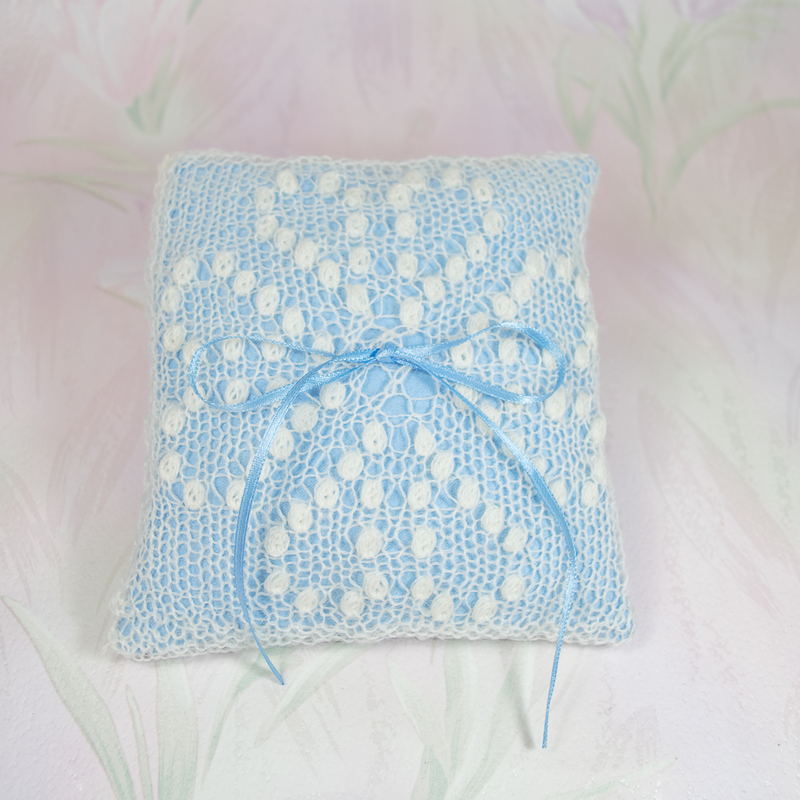 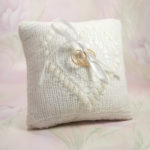 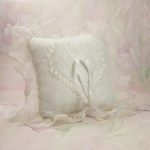 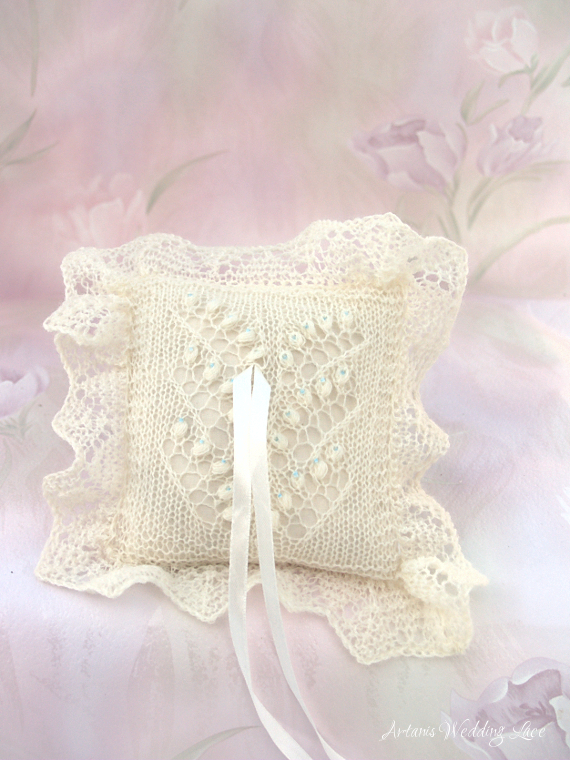 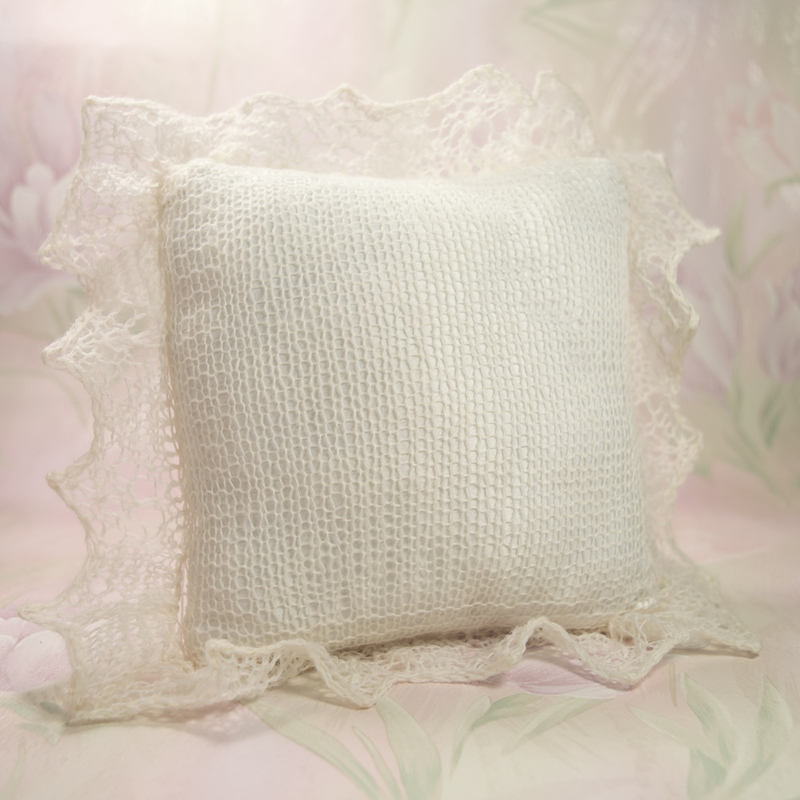 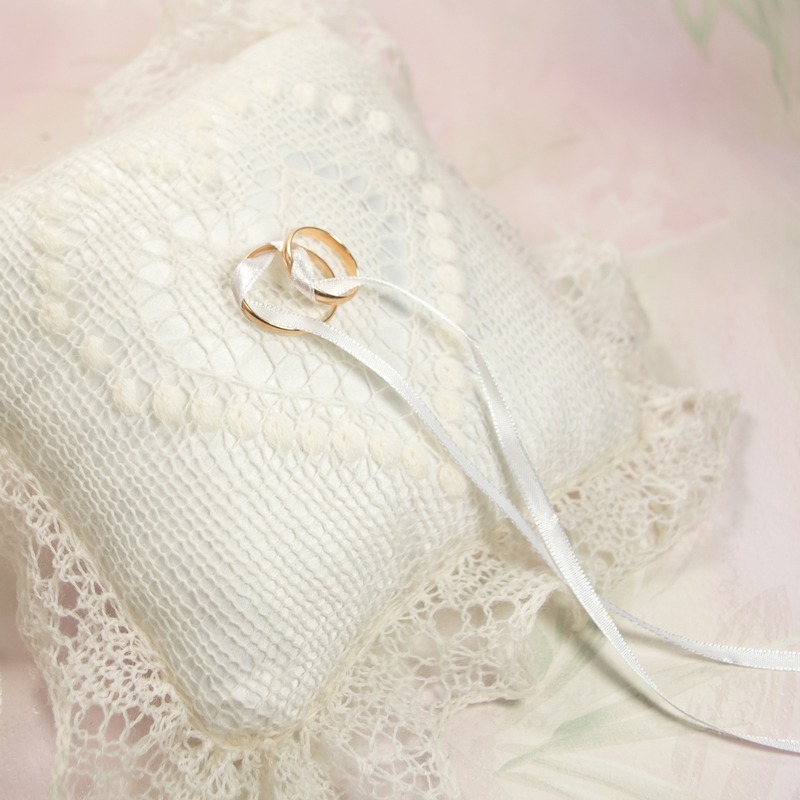 The pillow comes with white, natural white or light blue lace over white, natural white or light blue pillow. 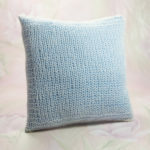 Custom orders with your own color requests are welcome. 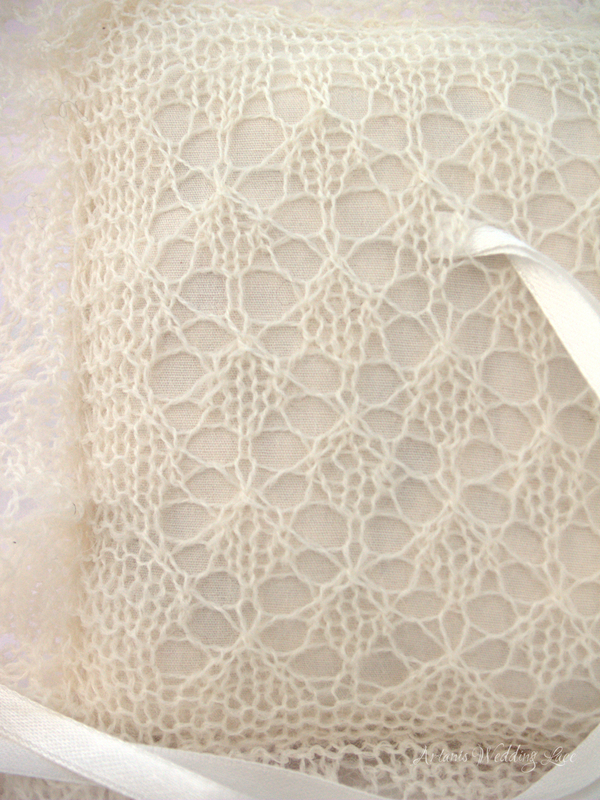 But, about these two, the first one is all natural white with paw print pattern. 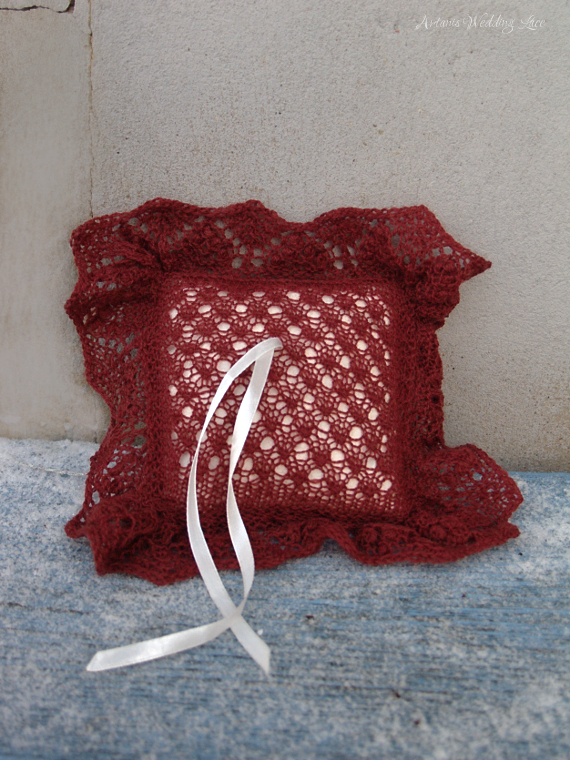 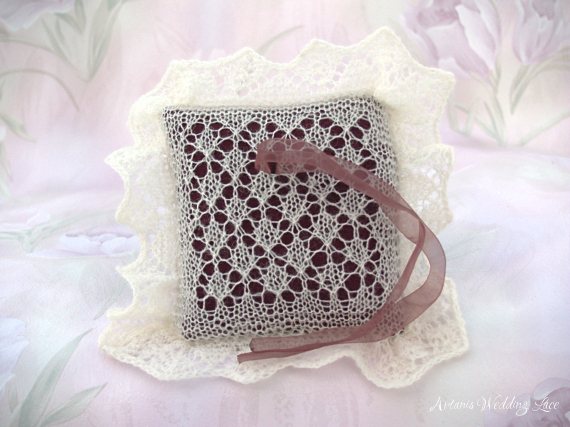 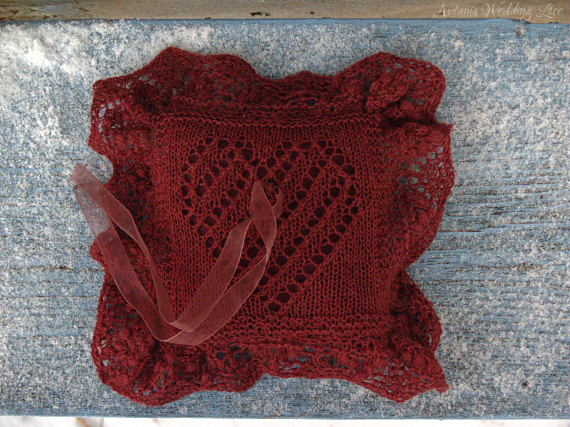 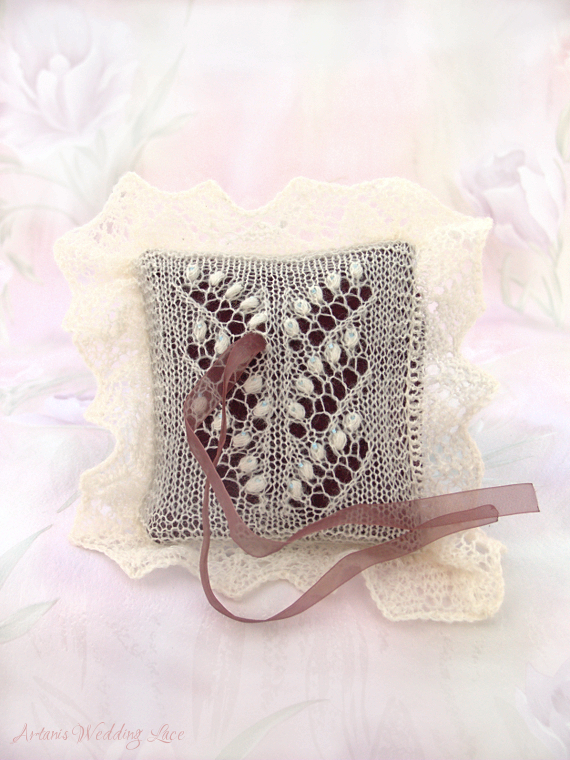 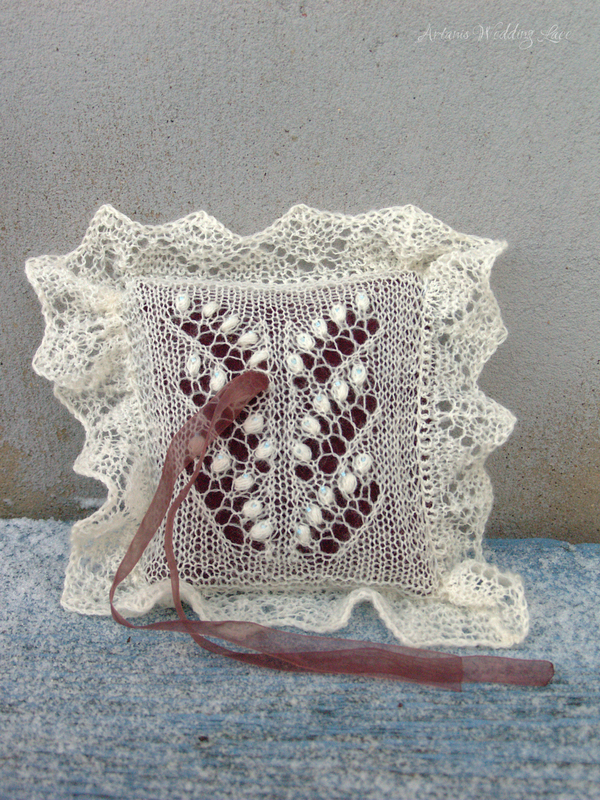 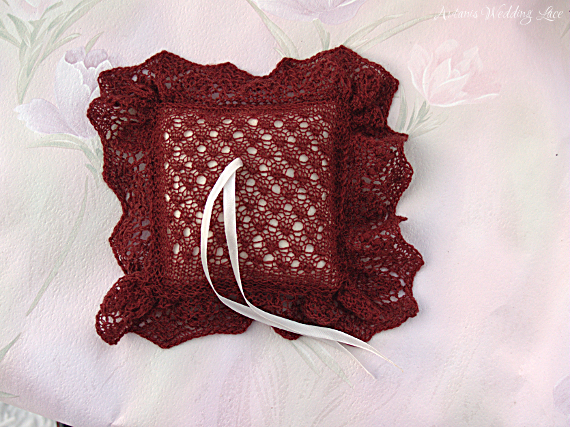 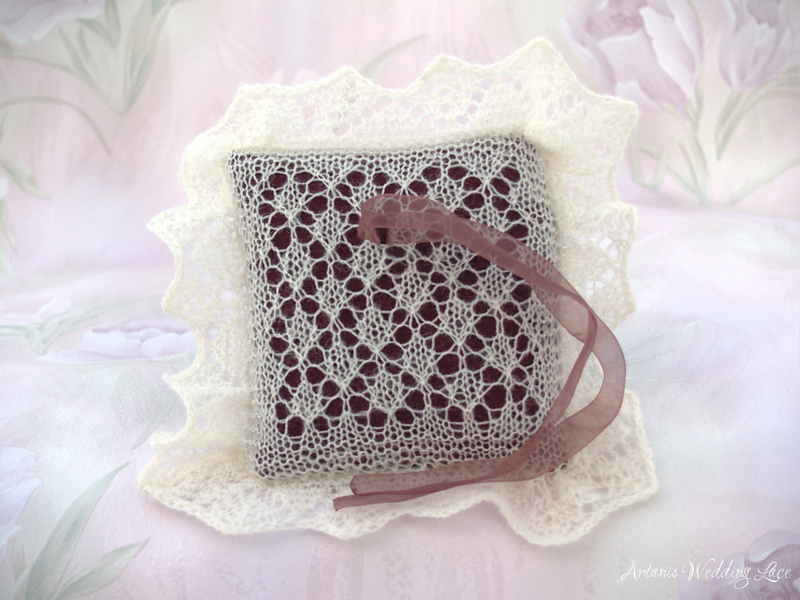 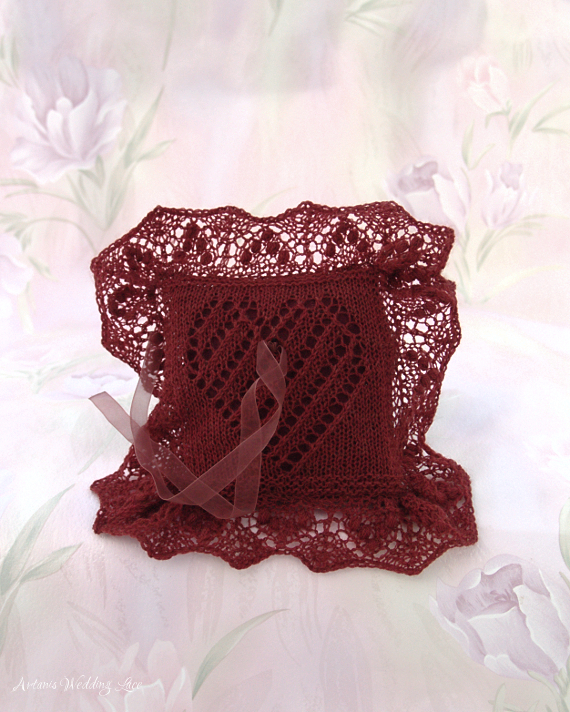 The second one is hand-knit dark red small patterned lace over Natural white sewn pillow. 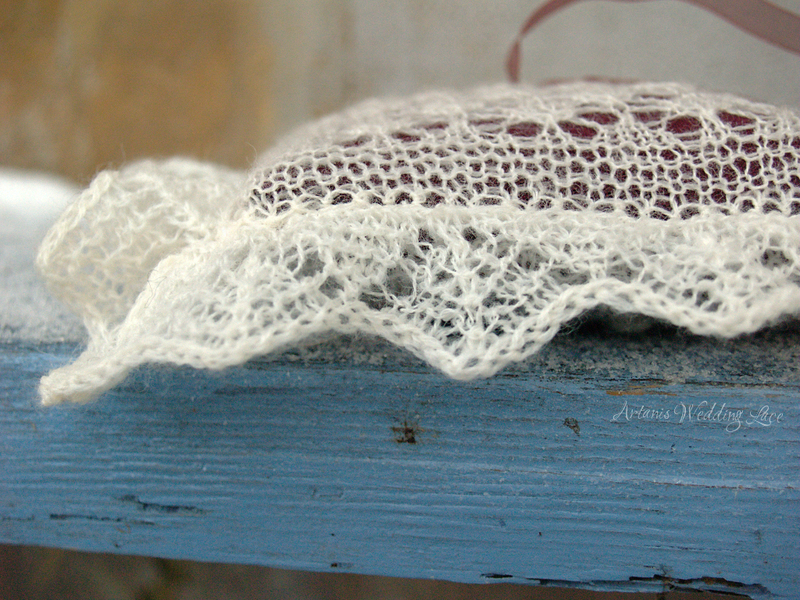 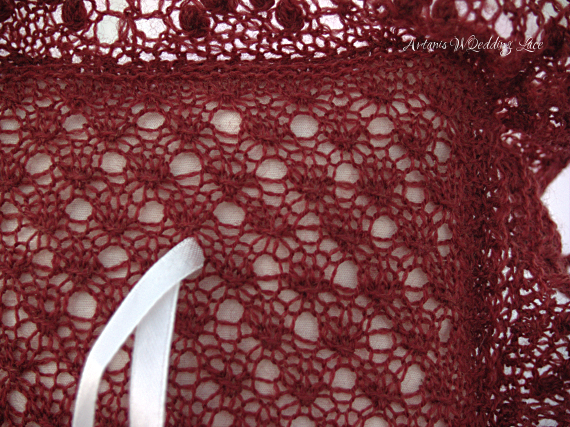 It has my favorite lace edging with nupps (Estonian bobbles). 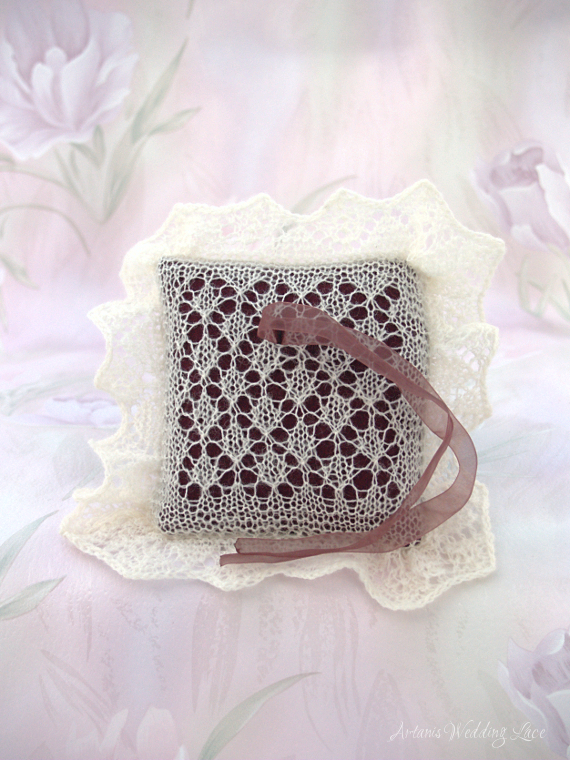 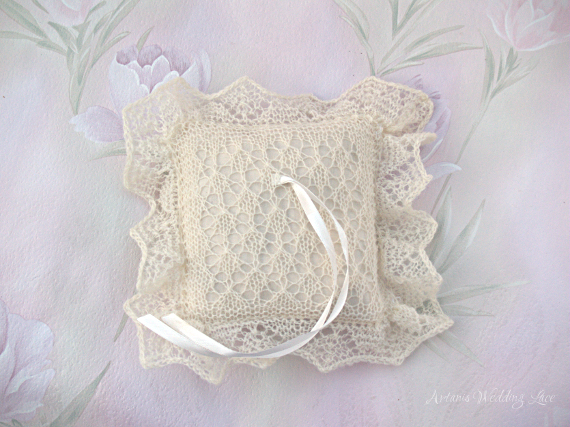 Both of them are 12x12cm (4,7×4,7 in) without lace and 20x20cm (7,9×7,9 in) with lace. 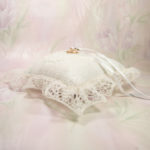 Two more lace ring bearer pillows to show you today. 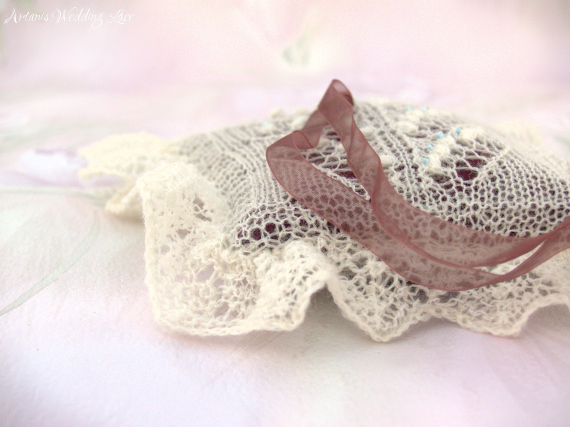 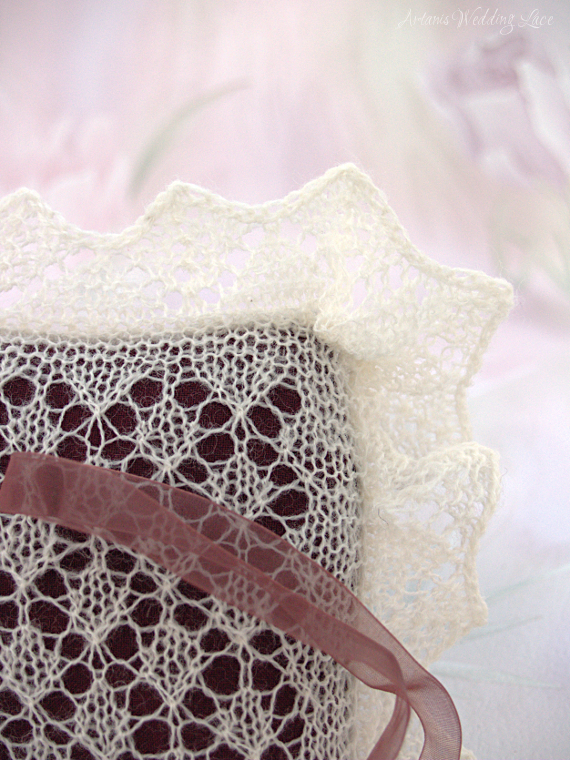 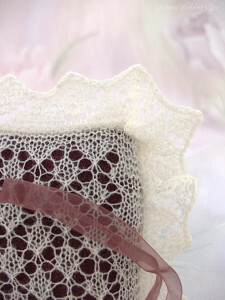 The first is natural white lace over dark red pillow. 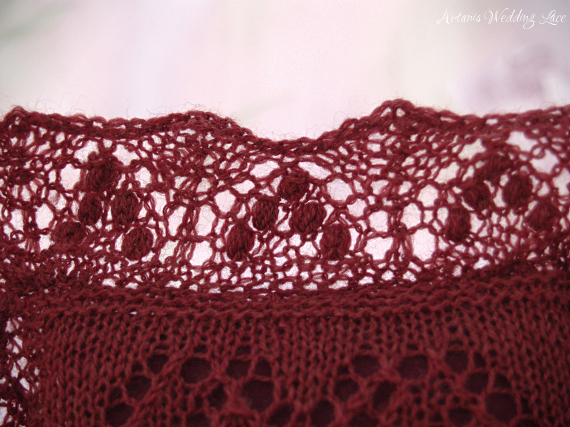 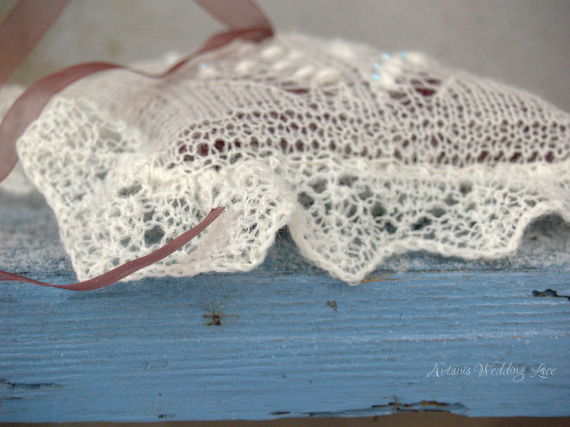 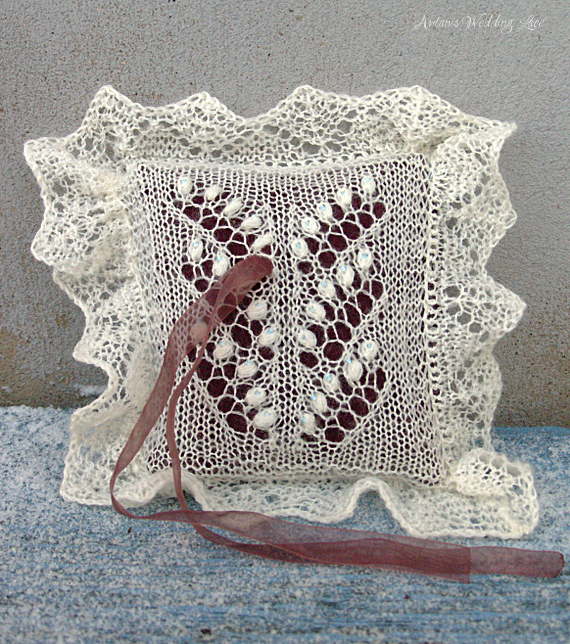 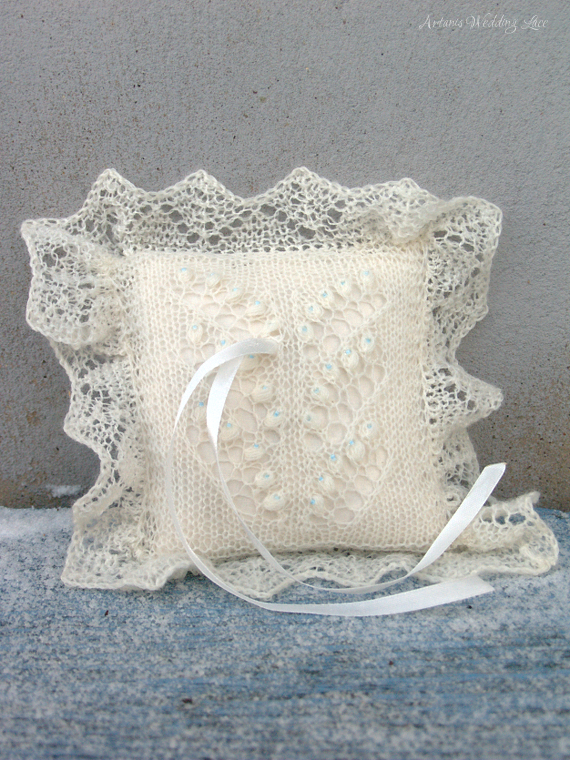 The pattern is a traditional Estonian lace pattern inspired by paw prints. 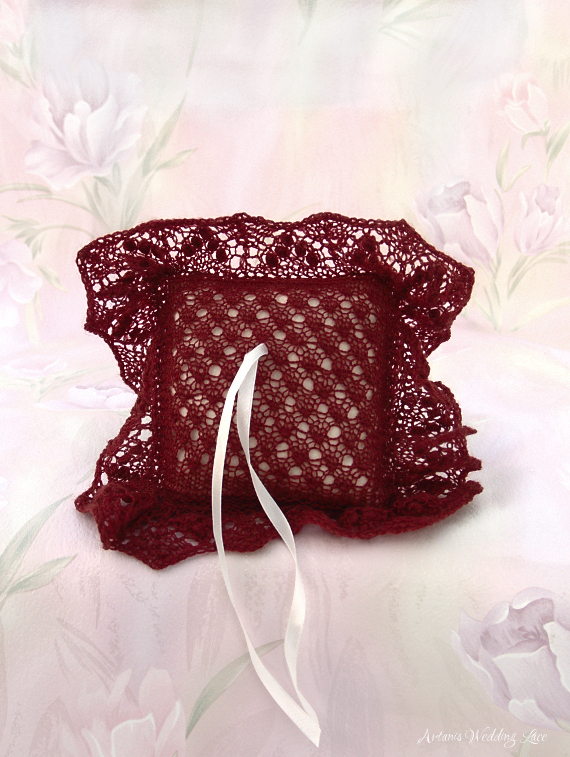 The second one is dark red lace over dark red pillow with heart pattern. 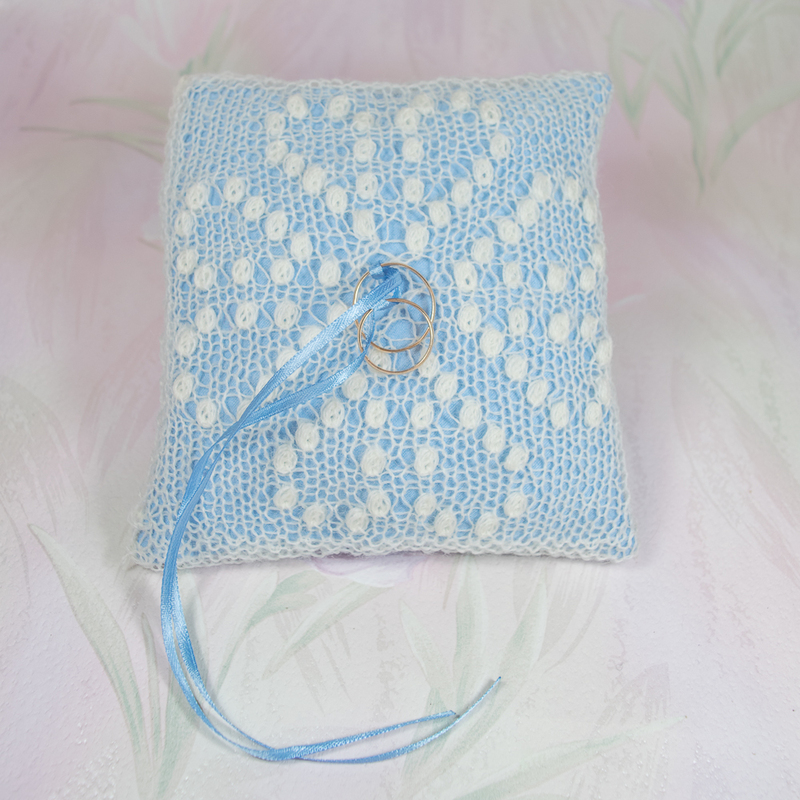 Both of them have the same lily of the valley pattern on them and blue glass beads in the nupps. 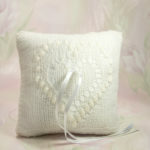 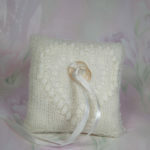 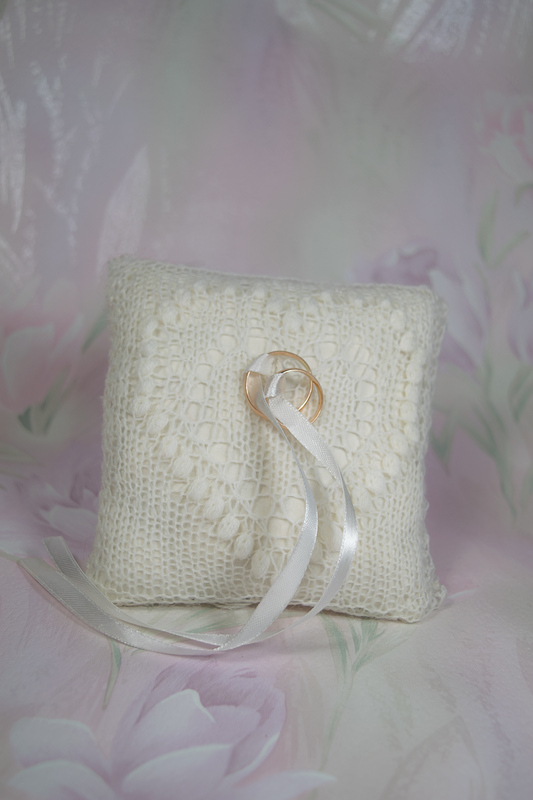 The pillows are knitted from soft Natural white wool and have different colour pillows in them. 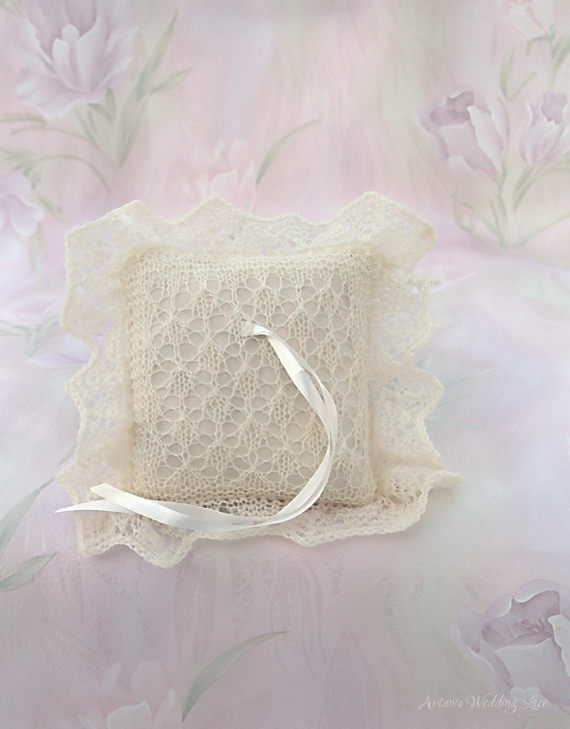 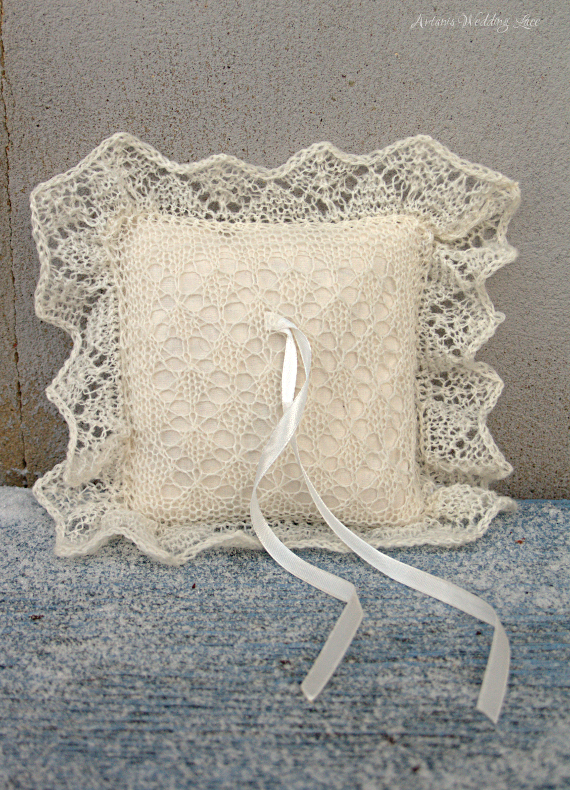 The size of the pillows is 12x12cm (4,7×4,7 in), 20x20cm with lace (7,9×7,9 in).